By 1900 the town had five churches, three public schools, a kindergarten, and a private Mexican school. The two weekly newspapers serving the town were the Reporter and the Echo. During that period Alice acquired the nickname the “Windmill Town” for its numerous windmills. In 1903 Eulalio Velázquez started publication of El Cosmopolita, a Spanish-language newspaper. Alice was incorporated on June 2, 1904, at which time it had a population of 887. F. B. Nayer owned the town site and donated land for early civic buildings. With the completion of the St. Louis, Brownsville and Mexico Railway to Brownsville in 1904, the Alice-to-Brownsville stagecoach was discontinued. The telephone company was sold to the Eureka Telephone Company in 1904, and the Southwestern Telephone and Telegraph Company started providing long-distance service. Trinidad Salazar was instrumental in getting Alice a new elementary school, which was named for original settler F. B. Nayer. In 1909 a fire destroyed half of the Alice business section, but it was rebuilt and the town continued to grow. Alice was chosen county seat of Jim Wells County shortly after the county’s organization in 1911. 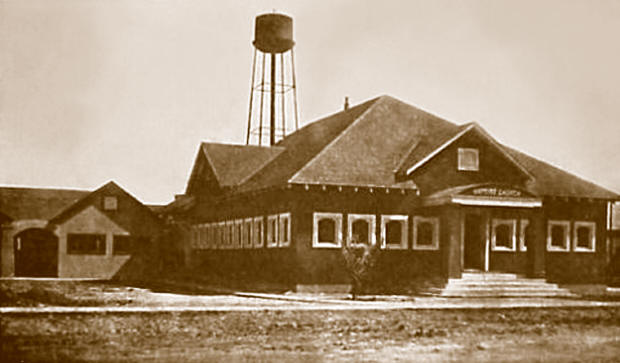 The town also became the headquarters for Texas Rangers serving in South Texas during the 1912–16 border raids. By 1914 Alice had an estimated population of 3,500, two banks, a cottonseed oil mill, a cotton gin, an ice plant, and two weeklies, the Alice Echo and the News. The introduction of irrigation helped to continue Alice’s importance as a shipping center, and a shift was made from transporting livestock to transporting fruits and vegetables. 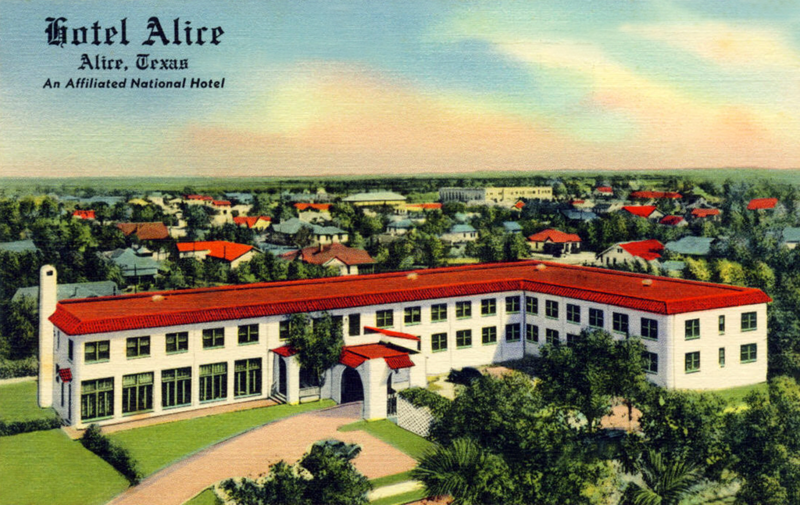 During the 1920s, as a result of the oil boom in Jim Wells County, Alice adopted the slogan “Hub City of South Texas.” The town served as the distribution point for both supplies and construction to south Texas. Its population was estimated at 4,239 in 1931. In 1935 a public library opened. 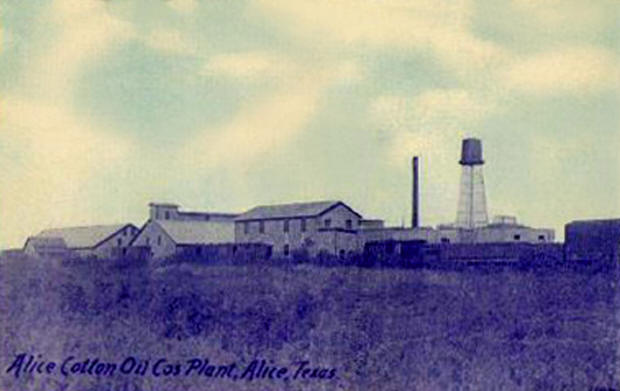 The town had an oil boom in 1938, when the Alice oilfield was discovered. By 1940 the population was 7,792. Alice made national headlines during the 1948 primary election for state senator. Lyndon Baines Johnson and Governor Coke Stevensonqqv both ran for the Democratic party nomination. It was alleged that Johnson won the primary because he had stolen the election with the help of George B. Parrqv, political boss, who controlled both Duval and Jim Wells counties. Alice became the focal point of a federal investigation when it was alleged that Alice’s Precinct 13 ballot box had been stuffed. By 1949 violence erupted in Alice. W. H. (Bill) Mason, a local broadcaster, was shot by deputy sheriff Sam Smithwick after he had alleged on the air that Smithwick was the owner of a dime-a-dance palace. During the 1940s and 1950s Alice had an economy based on the oil and gas industry, livestock production, and the marketing of cotton, flax, grain, and vegetables. Industries manufactured oil-well chemicals and supplies, fiberglass, products, cottonseed oil products, and foods. Census figures indicated a population of 16,414 in 1950. In September 1951 Alice was struck by a flood. In 1960 the population was 20,861. In 1963 Alice had thirteen churches and seven schools. In 1966 the town reported 429 businesses, nineteen manufacturers, twenty churches, two libraries, two newspapers, three banks, a radio station, and a hospital. Around 1966 Mexican-American youths boycotted Alice High School in protest against discrimination on the part of students, teachers, and administrators. Alice had an estimated population of 25,100 and 462 businesses in 1970. During the 1970s the city continued to be an oil and agricultural center. Agribusiness in Alice contributed nearly $34 million annually to the gross income of Jim Wells County. The Alice trade territory embraced a population of more than 150,000 in a forty-mile radius. In 1982 naphthalene and penanthene were found in Alice’s water supply and traced to an oilfield drilling company working in the area. In 1985 there were over 250 oil and mineral industry companies in the area. At the time Alice had eleven public schools and two parochial schools, twenty-nine churches, a museum, a public library, a private hospital, 557 businesses, and ninety-four major employers. In 1990 Alice had a population of 19,788. In 2000 the population dropped to 19,010. Posted on October 6, 2011, in Alice, South Texas and tagged Alice, Alice Texas, Eagle Ford Shale, Hub City of South Texas, Lyndon Baines Johnson, Natural Gas, Offshore drilling, oil, Shale gas, South Texas, Texas, Texas Rangers, United States. Bookmark the permalink. Comments Off on Alice, Texas – 1900 to 1990.